Taste Adventure – Travel. Food. Adventure. Since I’m working in Melbourne during the week, I’m taking advantage of this adventure by heading out of the city on the weekends, exploring Australia’s countryside. This weekend, I’m driving The Great Ocean Road. My jumping off point was Torquay, about an hour and a half outside of Melbourne. Torquay (pronounced ‘Tor-kay’) is Australia’s surfing capital. 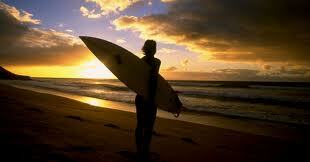 As the birthplace of renowned surfing brands Rip Curl and Quicksilver, the culture of surfing is embedded deeply. 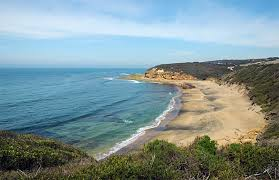 Torquay is home to world-famous beaches such as Bells Beach and Jan Juc, with its heavier breaks for the experienced surfer, and the Surf World Surfing Museum. There are lots of wave riding schools and stores to choose from, you can’t go wrong as there are so many experienced sets here. Also in town as are gear outlets by Rip Curl, Quiksilver, Strapper, Gash and Rojo. Carrying everything from gear to clothing, shades to shoes, if you need it for surfing, it’s here at Surf City Plaza. 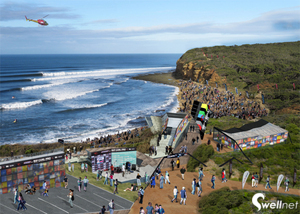 And if you’re around during Easter break, head to the infamous Rip Curl Pro, one of the most sought after titles on the World Championship Tour, which is held on Bells Beach. 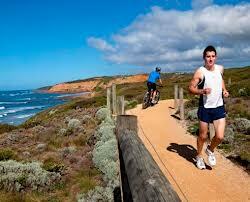 What made me feel at home in Torquay the Surf Coast Walk. Unlike many places in the world, the beaches are not developed, structures basically only exist off of the shoreline. 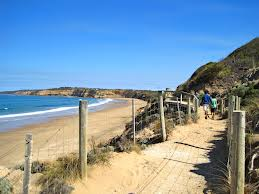 Instead, the Surf Coast Walk meanders along the cliff tops above the perfectly khaki sand beaches below. Anytime I can walk for miles along an unspoiled beach and also snorkel beautiful areas like the Point Danger Marine Sanctuary, I feel at home. Head to Torquay, if nothing but for the sound of the water and a walk you’ll never forget. Today, I experienced one of the most moving events I’ve had abroad. 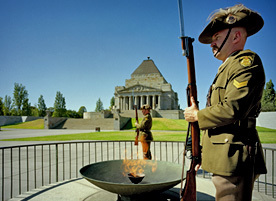 April 25th is The Australian and New Zealand Army Corps holiday, or ANZAC day. One of their most important holidays, it is comparable to Memorial Day in the US. Originally it began as a means of commemorating the forces who landed and fought with the British in Gallipoli, Turkey during WWI on April 25, 1915. This was the first major action of war for Australia and felled more than 8,000 of their troops. 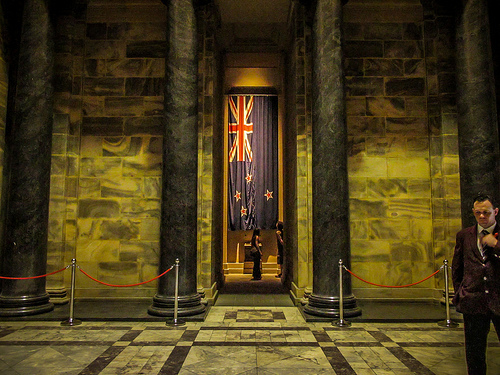 Since then, ANZAC Day has evolved to honor those who have served in all capacities. If you’ve been reading my blog, you know I’m on assignment in Australia. All week I had my head down buried in data and meetings. 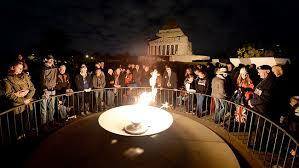 Despite that, six different people suggested I attend the ANZAC dawn memorial service. 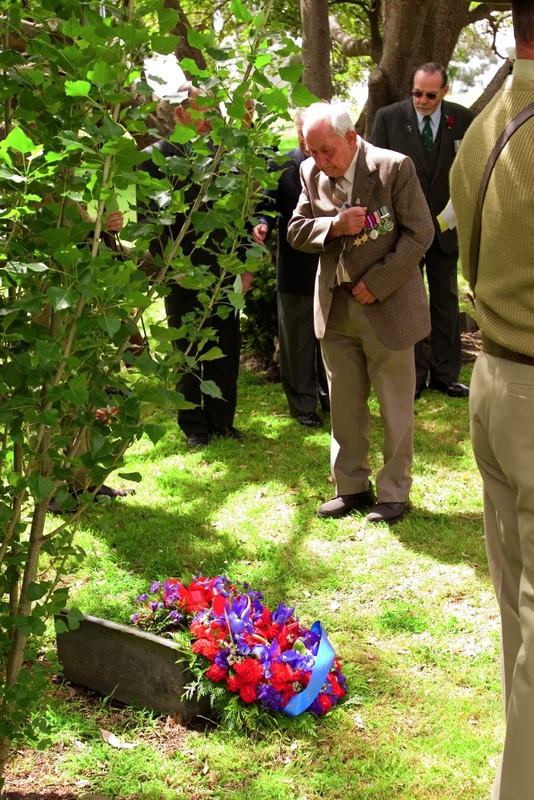 In a way that most people never share in a business environment with a stranger, I was related stories of how personal and poignant this ceremony is to Australians. One, a receptionist, shared with me that while she and her family are actually South African, she still wears her fathers colors to honor him and attends every year. Another told me about his uncle and father who served. Likewise, I shared my experience of taking my grandfather to the Vietnam Memorial in Washington, D.C. Following their suggestions, I found myself walking to the ceremony at 5:30am this morning. According to www.shrine.org.au, “Each dawn and dusk, the most favourable times for attack, soldiers were called to ‘stand to’ and manned their posts in full kit, ready to repulse enemy attacks or launch their own.” Out of respect for those men and women who have to ‘stand to,’ there are memorial dawn services all over Australia, one of which is in Melbourne, just a 20 minute walk from my hotel. 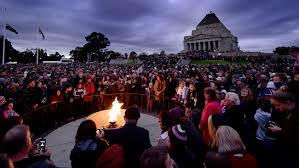 As I approached, tired and sleepwalking, I was among 40,000 folks streaming towards The Shrine of Remembrance. 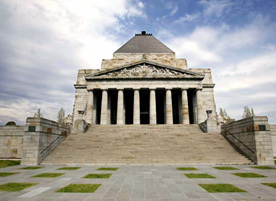 The Shrine itself is set on 13 hectares of land known as The Shrine Reserve which also contains several memorial gardens, statuary, and an unknown soldier tomb. 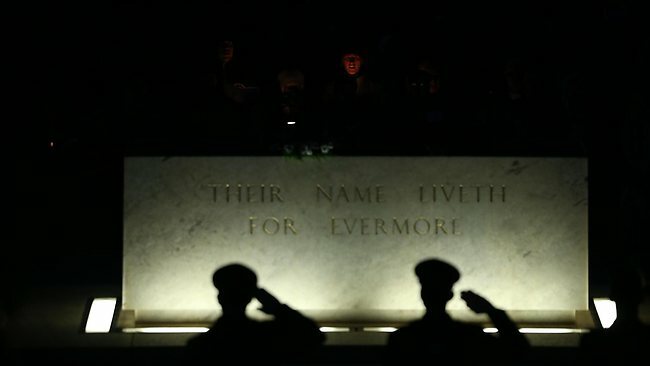 While still dark, The Last Post was played, stirring speeches were made, a young girl recited In Flanders Fields, and an Afghanistan veteran spoke about the spirit of ANZAC. All around me was a well of emotion, palpable and raw. Then, when sun began to peak out and the dawn break, the flag was raised and tears spilled over. It felt wholly inappropriate to take pictures, so I’ve taken the liberty of using others from around the web, hopefully they give you a sense of what a moving experience it was. – Australian troops are known as ‘Diggers’ and New Zealand troops are ‘Kiwis.’ They lived, fought and died alongside each other creating a bond that still exists today between the two nations. 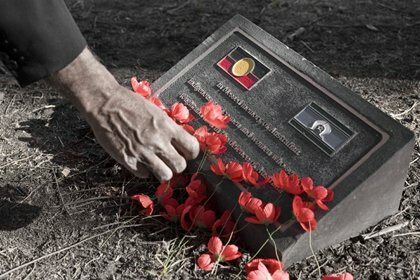 – Poppies are traditional to place as remembrances on graves and plaques. 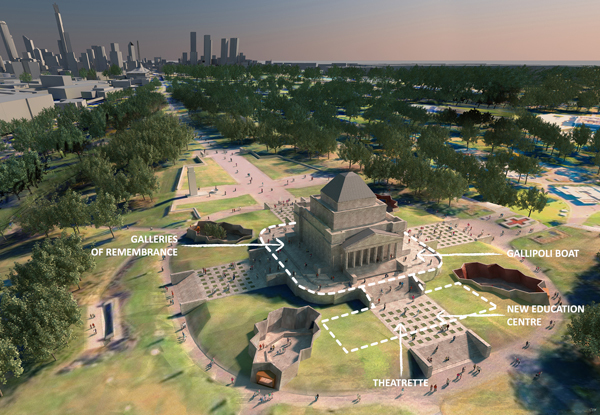 – Is open 10am – 5pm daily and guided tours are available from 11 – 2. Until a few years ago, I’ve always been relatively fit and active. When I was younger I danced ballet for 20 years, lettered in 4 varsity sports each year of high school, and later even did intense boot camps everyday at 5am for a while. Over the last few years working 70+ hours a week, constant travel, eating out on the road, and generally not taking good care of myself have taken their toll. While I’ve lost things that meant the world to me, I haven’t lost weight. Today I’m 40 lbs. 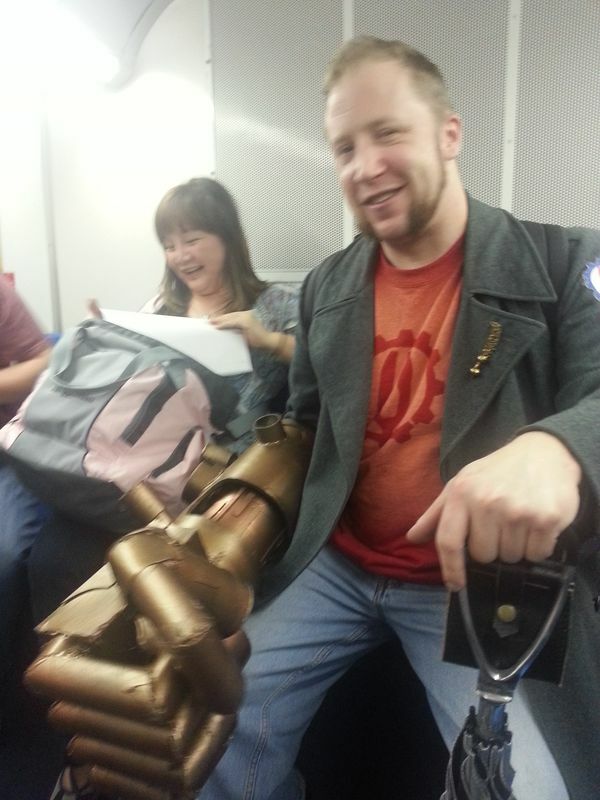 heavier than I was when I turned 30. I can’t believe I just publicly admitted that, but my philosophy of late is to not have any secrets and gradually gaining weight simply can’t continue. This month I find myself in Oz (slang for Australia), in one place for 5 straight weeks. I’ve decided there is no time like the present…and the unintended gift of this work assignment abroad is to give myself the opportunity to jump-start getting back into shape. Being in one spot I can get into a routine and have no excuses for bad choices. The reality of my starting point is embarrassingly documented here, in my hotel mirror. Since I don’t have a scale in my hotel room, I’m just going to judge my progress based on how I feel physically and how tight this outfit feels. After all, as every woman knows, there is no hiding in a tight pair of jeans and tank top So what is my strategy? – Meditate every day: its been a year of heartbreak and it strikes me I should try to quiet my mind rather than feed my angst dessert…. Hmmm, wonder if I can meditate on dessert? Why did I choose Crossfit? 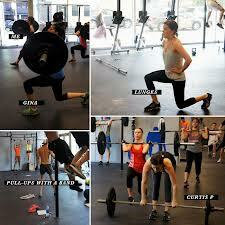 It combines strength with cardio in a time efficient, intense work out. Having reached a stage in my life where time is my most precious resource and more often than not my #1 limiting factor, I was looking for more bang for my minute rather than my buck. It’s also known for being a supportive yet competitive environment, the type of place I usually thrive. Plus the gym I chose is on a rooftop, and I love scenery. While I don’t expect miracles overnight, I hope to come back home to the US feeling and looking better than I do today! Stay tuned for updates! While planning for my extended Melbourn sojourn, I researched restaurants that would be must visits. 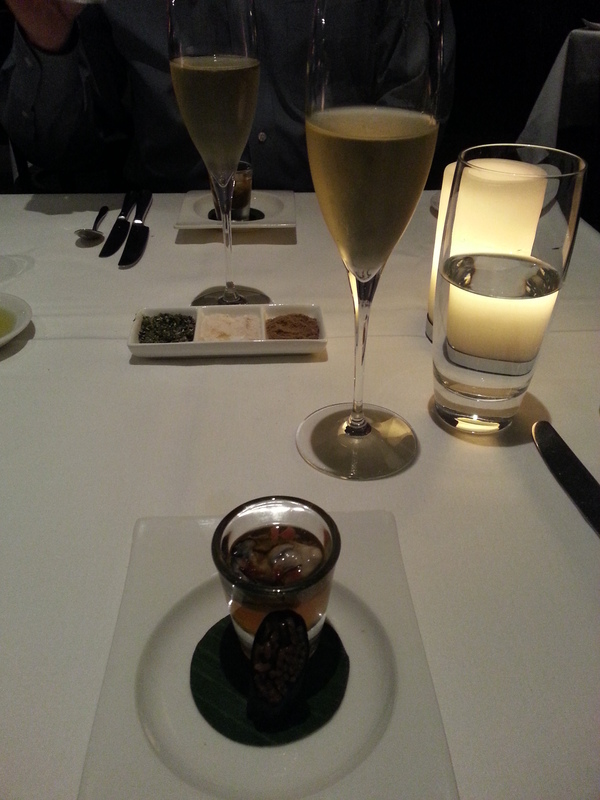 One that consistently floated to the top of all best restaurant lists I found was ezard by renown chef Teague Ezard. Upon arrival, I was surprised to find a simple door and stairs leading down into the small, intimate yet formal, subterranean space. My dinner companion and I elected to have the full degustation menu, but you can select a la carte or a smaller pre-theatre dinner menu. The full experience, complete with wine took about four hours and isn’t cheap, but was worth every penny. Actually, we would have lingered even longer but by the end my jet lag reached new heights and I was struggling to stay awake. 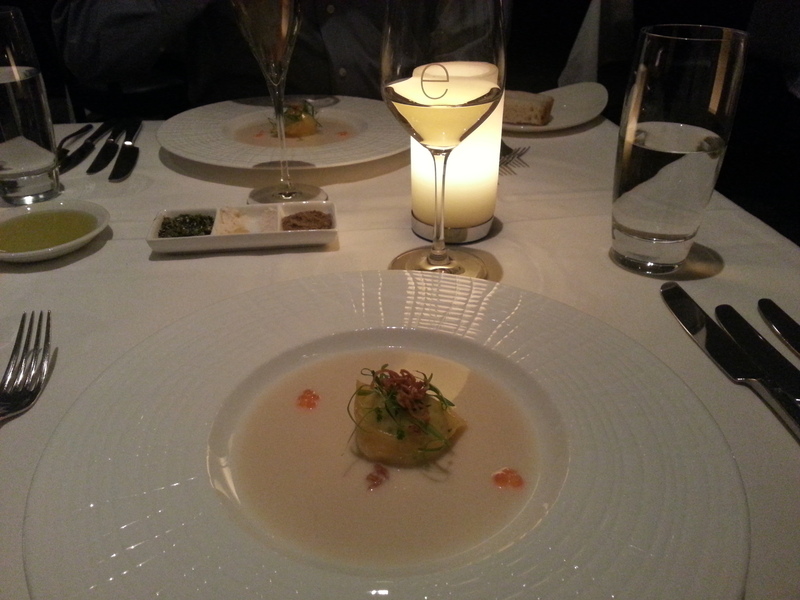 The menu served us was below and every course was exceptional, every morsel a delicious creation. I would suffer through a 14 hour time difference jet lag for the pleasure of enjoying a meal like this anytime! 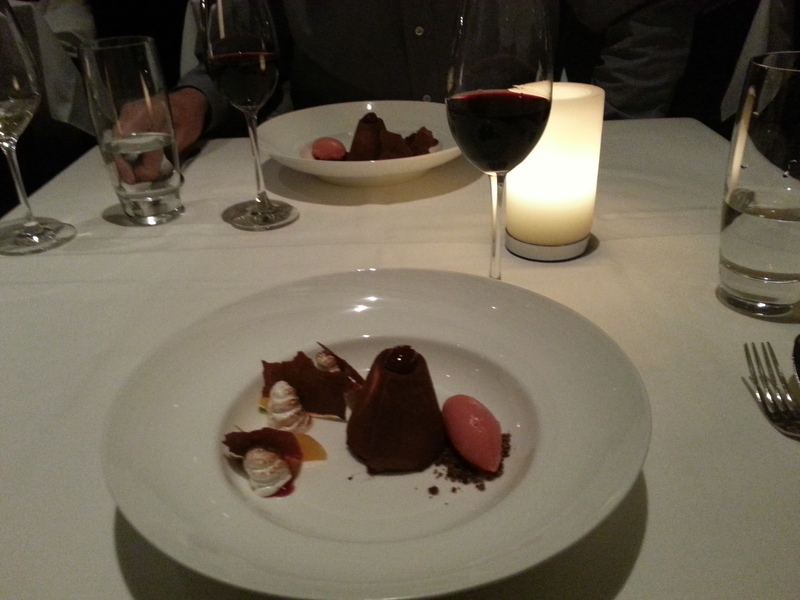 If you opt for ezard, I suggest you book a reservation a couple of weeks in advance, +61 3 9639 6811. 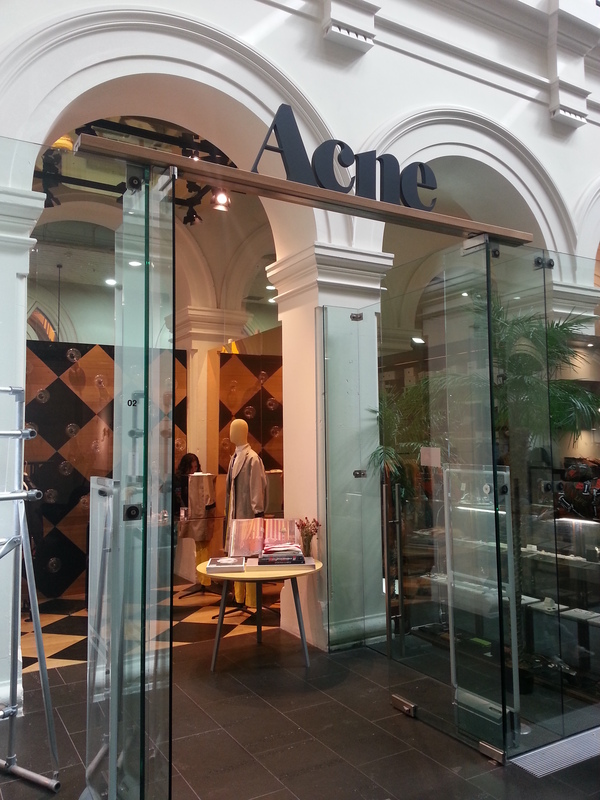 Located at 187 Flinders Lane, Melbourne, its conveniently within two blocks of hotels like the Grand Hyatt and Westin. One of my favorite things about travel is that you never know what you’ll see. 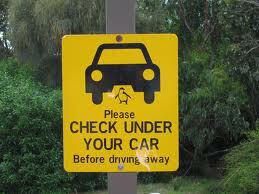 Invariably you wind up with funny stories and one of kind sightings. 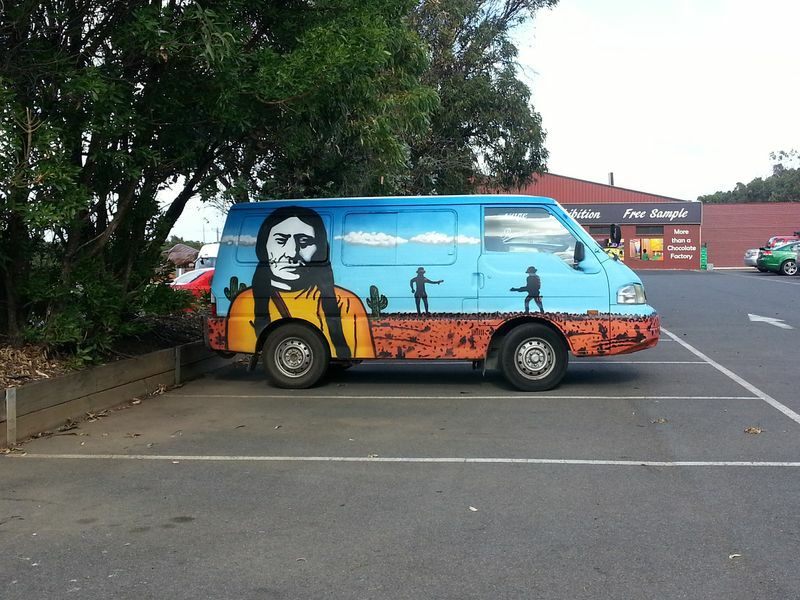 During my first trip to Australia, I ran into a number of amusing and giggle inducing scenes. Here are a few of my favorites…perhaps they’ll make you chuckle, too! 1. While en route and still in the airport, I saw this guy who was completely serious when he said he was ‘The Emperor’ and his hammer hand was ‘The Will of the People’…Weirdest one of all! 2. 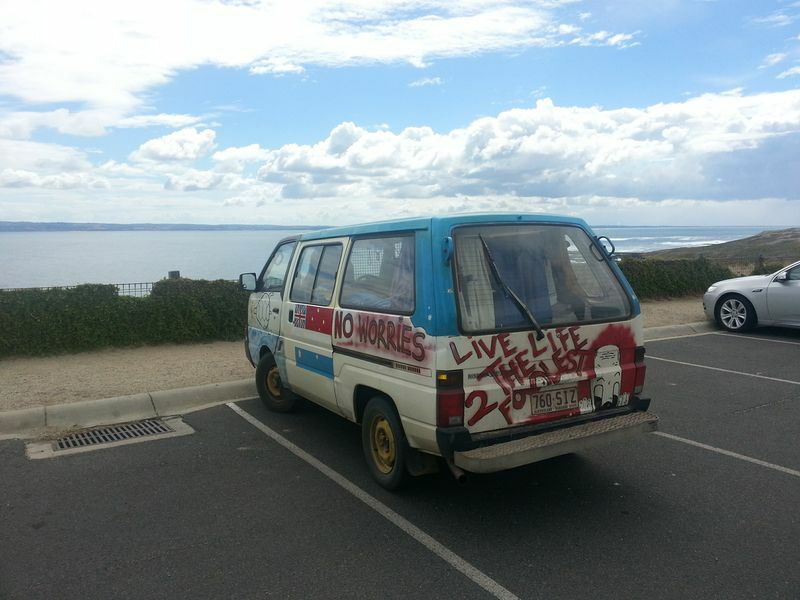 Surfer Wagon on Phillip Island – the best! I want one of these! 3. 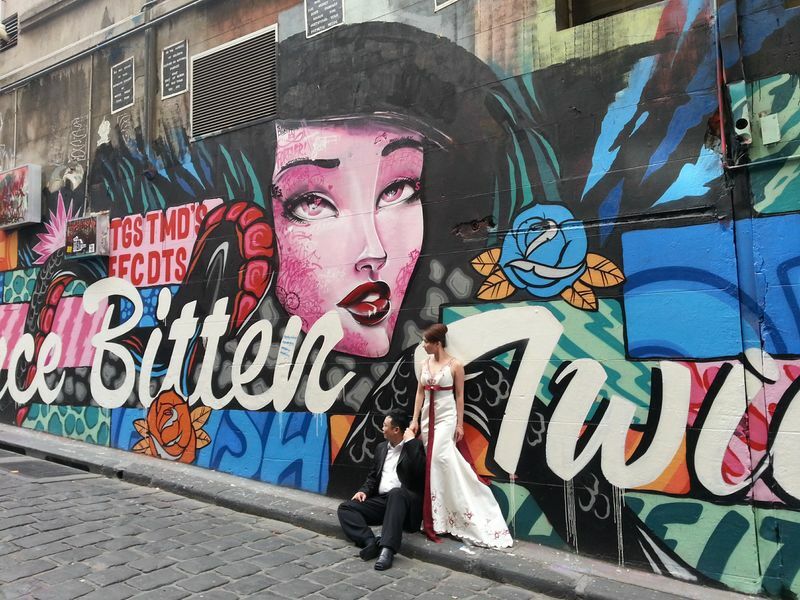 Newly-wed photos with graffiti – not what I dreamed of for my wedding day but to each their own. Do they realize the graffiti says once bitten twice shy?! 6. 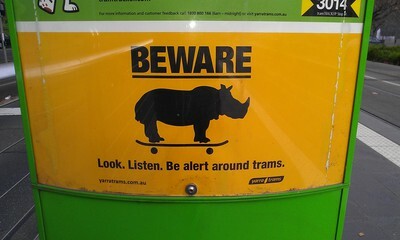 Beware the rhino on a skateboard? 7. I’m always visiting retail stores for work….This was in Target – the tv on the wall was showing a video about wearing bras! 8. Another fun hippie van or two or four! As always, I’ll keep collecting these funny shots…one day they’ll make a great coffee table book! The propietor of the Clifftop Boutique Hotel where I was staying told me one of the things I really should do while on Phillip Island is take time to walk ‘The Nobbies.’ Located on the southwest side of the island, the entire point was reclaimed to create a preserve, now home to the second largest penguin colony in Australia, wallaby, koalas, and more (which I’ll write about in another post). At the very end of this preserve lie The Nobbies. Comprised of an enormous outcropping of knobby rocks, the open ocean meets these geologic wonders with intense force. This harsh bit of nature knocks up against the softest green, rolling cliffs under which the penguins build their nests. It’s a landscape that ignited my senses and made me feel tied to the earth. I’ve seen many beautiful places around the world and this was in my top five. The Ayung River (which means beautiful woman) in Bali and the Kalalau Trail in Kauai remain the most breathtaking but The Nobbies are stunning in their own right. I took a picnic and lunched on one of the benches spotted along the path. It was the perfect way to spend an hour or two, reflecting and being mesmerized by the sounds and force of the ocean. There is one long winding road to get to The Nobbies, with beach access points and lookouts along the way. The views from these lookouts are stunning and are a great place for a couple to spend together on the beach or a family to have a picnic. 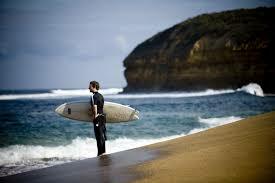 With winter on its way in March/April there were very few people except me and the die-hard local surfers. It felt like having heaven all to myself with a bit of amusing entertainment. 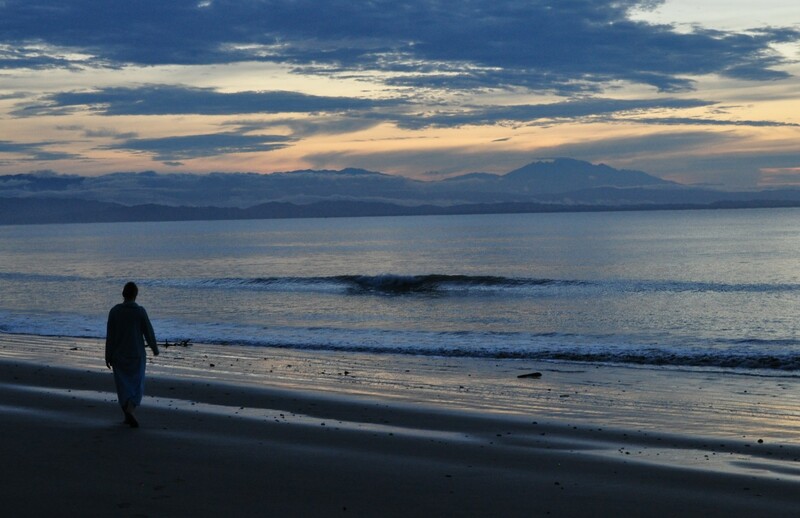 Just me and the surfers, my thoughts, and the cragged grace of The Nobbies. I had all of one free afternoon in Melbourne during my first visit. 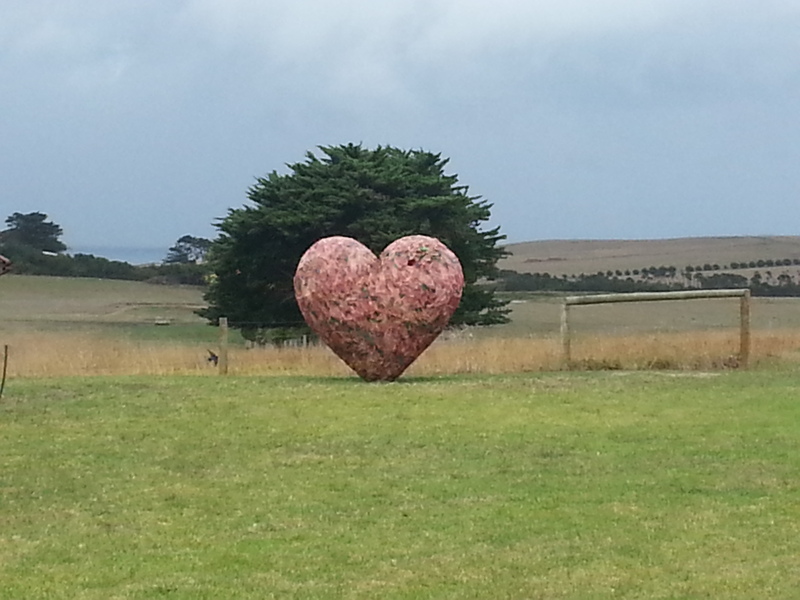 After a walk through The Nobbies – one of the most beautiful places I’ve ever been – I stopped at Phillip Island Winery. 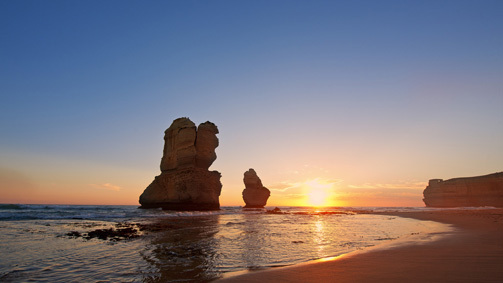 It turned out to be the perfect laid back, interesting place to relax and enjoy the culture of Australia. I was met at the tasting counter by Gaeten. He led me through a tasting of the vineyards varietals. From the refreshing Merlot Rose to the most delicate Pinot Noir and finally a rich Cabernet. The wine was a delight and so was Gaeten. Having settled on a glass of the Pinot and a mini platter of the meats and cheese assortment, I sank into one of their cushy chairs and felt the stress of travel, life, and work begin to melt away. With the sound of a gentle rain pattering on the roof and live acoustic music by owner Tim O’Brien, it was one of those moments of simple contentment that I yearn to have more often. Tim played his guitar and sang for a couple of hours, some songs that we all know and some he wrote himself. Two were my favorites, one which he wrote about Melbourne, ‘his sweet companion’ and the other was his rendition of Leonard Cohen’s Hallelujah – the best I’ve ever heard. I would go back just to hear him sing that song. All said, this winery is well worth a visit, even if you find yourself alone and wondering about the countryside on Phillip Island on a rainy day as I did. Leaving my personal life in shambles at home, I’m off on another Australian adventure. This time five weeks, jam-packed with work. Upon arrival I had 24 hours to acclimate to the 14 hour time difference before diving head first into full on work mode. Having committed the sin of going to sleep at 7:30pm the night I arrived, I of course woke at midnight, unable to sleep. Fortunately I found a great cure. In many cities around the world there are bike rental stations peppered here and there. In Paris they are chrome colored, in Melbourne they are bright blue and impossible to miss. A Sunday morning two-hour bike ride along the Yarra River was the perfect remedy. If you are staying in the central business district (which locals call the CBD), a great location to pick your bike up is at the southeast corner of Flinders and St. Kilda, opposite the train station. From here you can follow the Capitol City Trail that meanders alongside the river, giving you beautiful views of the skyline and the rowing teams. I recommend taking the trail eastward along Alexandra Avenue, and then turning back to retrace your steps and go towards the Southbank area. Here you can stop and have a beautiful brunch at any number of places along the water. Plus, at only $2.75 for the day, it is the best bargain you’ll find in Melbourne. Ultimately, a good ride to get your blood flowing, beautiful scenery to feed your brain, and a nice place to eat outside are just what the doctor ordered to overcome jet lag.